PieSync is the fastest growing two-way intelligent data synchronization platform for organizations that want to power their business by integrating their cloud apps. PieSync improves sales, marketing and service performance by easily and affordably connecting contact data without complexity across SaaS-based ecosystems and applications to guarantee relevance and reliability, every time. The great advantage of PieSync is that it offers full synchronization of contacts (as opposed to just one-time export), including existing contacts created before using PieSync as well as automatic update of contacts when their data is modified in any of the connected apps. 1. Go to www.piesync.com and sign up for a free 14-day trial to get started. 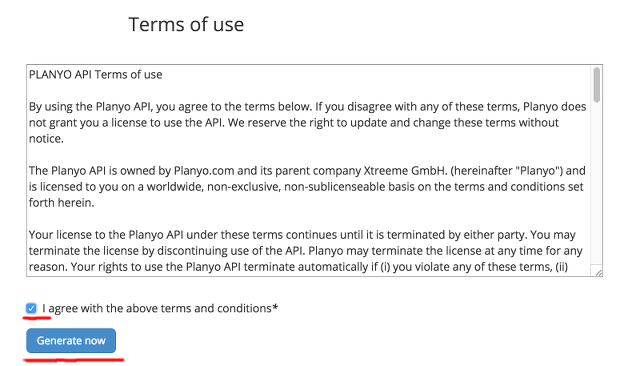 Select Planyo and then any other app listed which you want to integrate with. 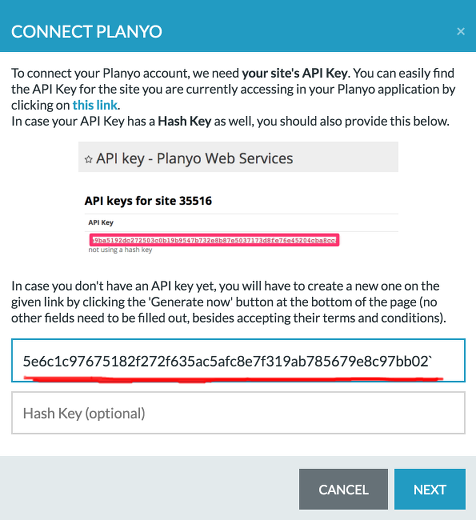 For the Planyo app, you need to paste an API key for your site. Go here and generate a new key. You don't need to set any options, just read and agree to the conditions and click the Generate now button. You'll now see the new API key for your site. Copy it to the clipboard and paste it in PieSync. 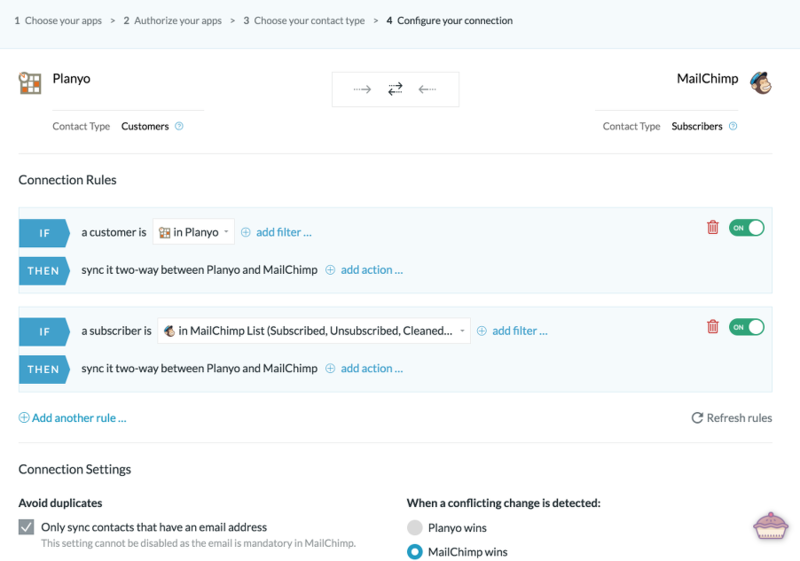 To connect your PieSync account with the other app you're integrating with, supply your Subdomain, Username and/or Rest API key. You only need to do this once. Fine tune your integration by setting the direction of your sync, (2-way or 1-way), filters and subsets. Check the PieSync setup guide for more detailed instructions for working with PieSync.